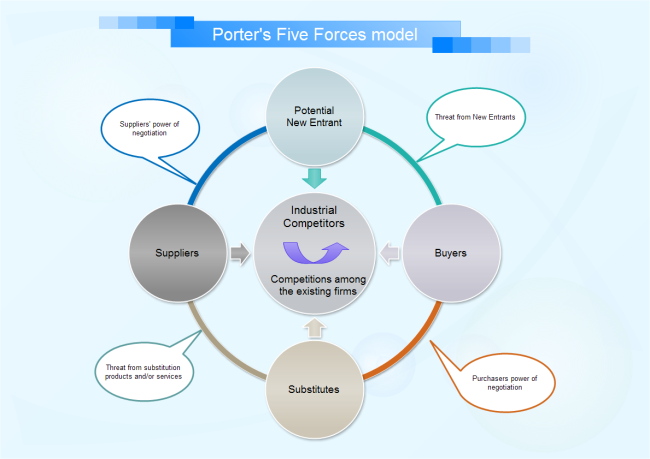 Porter's five forces analysis tool is a framework that classifies and analyzes the most important forces affecting the intensity of competition in an industry and its profitability level. See what determinants can affect the five forces. Since its introduction in 1979, Michael Porter's Five Forces has become the de facto framework for industry analysis. The five forces measure the competitiveness of the market deriving its attractiveness. The analyst uses conclusions derived from the analysis to determine the company's risk from its industry (current or potential). (5) Competitive Rivalry among Existing Firms. To analyze these five forces, there are many factors to evaluate. The following are relevant elements to consider when carrying out a Five Forces analysis. Learn how to make a five forces chart here.